Enjoy the best sightseeing on the bay with San Diego’s longest running harbor cruise company. 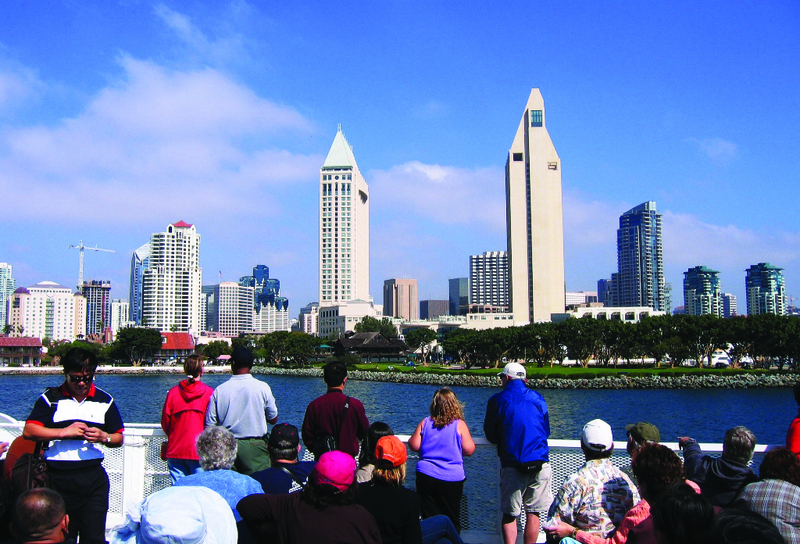 Choose either a 1-hour or 2-hour professionally narrated tour of San Diego Bay. Tours run daily, year ‘round. Comfortable indoor and outdoor seating is available. Snacks, beer, wine and sodas are available for purchase. Reservations suggested but not required for 1 and 2-hour bay tours. Join us today! North Bay Tour: View the North Island Naval Air Station, Harbor and Shelter Islands, the Naval Sub Base and the Cabrillo National Monument. This narrated tour is about 12 miles in length and takes about 1 hour. South Bay Tour: Take in the Star of India, the U.S. Navy surface fleet, Coronado Bay Bridge and busy shipyards. This narrated tour is about 12 miles in length and takes about 1 hour. Full Bay Tour: Our deluxe tour covers it all: Harbor and Shelter Islands, Point Loma, Cabrillo National Monument, North Island Naval Air Station, the Submarine Base, as well as the Coronado Bridge — and much more! This narrated tour is about 25 miles in length and takes about 2 hours. NEW! Friday Hops on the Harbor Craft Beer Dinner Cruise! This Friday dinner cruise features a different San Diego brewery each month, paired with two-and-a-half-hours of gourmet dining, music entertainment and amazing nighttime views of the San Diego skyline. Cruise 6:30 - 9pm. Fun Express special price includes taxes & gratuity. Reservations are required, Call 800-44-CRUISE (27847). Patriot Jet Boat: Get ready for speed, screams and splashes! Come aboard the Patriot Jet Boat for an entertaining, turbo-charged tour of San Diego's most scenic waterfront spots. You'll zip and zoom past military ships, along the downtown skyline, and under the iconic Coronado Bridge. There's nothing like it! 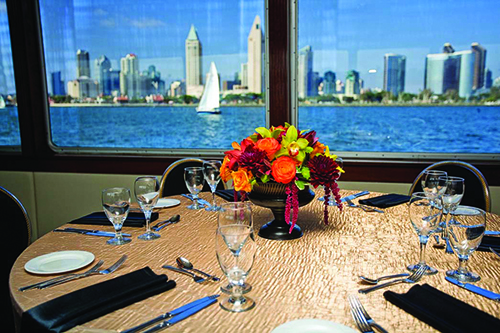 Champagne Brunch: This two-hour brunch cruise glides past scenic sights along the San Diego and Coronado waterfront. Relax with live music and enjoy all you can eat, indoor/outdoor seating, and a fun and scenic escape from the routine. Great for anniversaries, bridal showers, bachelorette parties and celebrations of all kinds! Whale Watching Tours: Between December and April, approximately 20,000 gray whales migrate along the coast of San Diego. Get an up-close view of this incredible journey on board an educational whale watching excursion! Led by friendly marine experts from Birch Aquarium at Scripps, you'll get a deeper understanding of the ocean ecosystem and real-time commentary on the sights and sea creatures unique to your cruise. Sunday Prime Rib Dinner Cruise! This Sunday dinner cruise features two-and-a-half-hours of fine dining, music entertainment and amazing nighttime views of the San Diego skyline. Cruise 6:30 - 9pm. Fun Express special price includes taxes & gratuity. Reservations are required, Call 800-44-CRUISE (27847). Valid for ONE ADULT (13 yrs +), 1 Hour Narrated San Diego Harbor Tour - Enjoy a 12-mile sightseeing cruise along beautiful San Diego Bay! Valid thru 3/31/2020. Reservations Recommended, Call 800-44-CRUISE (27847). Valid for ONE ADULT (13 yrs +), 2 Hour Narrated San Diego Harbor Tour - Enjoy a 25 mile sightseeing cruise along beautiful San Diego Bay! Valid thru 3/31/2020. Reservations Recommended, Call 800-44-CRUISE (27847). Valid for ONE person (4 yrs +) for a 30-minute open-air Patriot Jet Boat thrill ride along the scenic waterfront of the San Diego Bay. With rock music pumping, you will get speed, screams and splashes as the Patriot carves 360-degree turns and reaches speeds upwards of 50 mph. Includes all fees & taxes. Valid one operating day thru 3/31/20. Reservations Recommended, Call 800-44-CRUISE (27847). Restrictions apply. Valid for ONE ADULT (13 yrs +) aboard Flagship Cruises & Events "Hops on the Harbor" - Friday Craft Beer Sunset Dinner Cruise. Features a different San Diego brewery each month, paired with gourmet food, and music. Includes taxes & gratuity. Valid through March 31, 2020. Reservations are required, Call 800-44-CRUISE (27847). 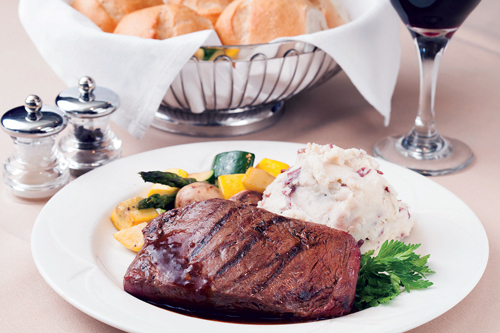 Valid for ONE ADULT (13 yrs +) Sunday Prime Rib Sunset Dinner Cruise. San Diego location. Includes taxes & gratuity. Valid thru March 31, 2020. Reservations are required, Call 800-44-CRUISE (27847). 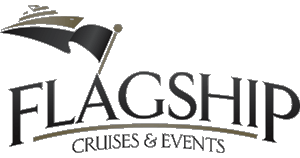 Valid for ONE ADULT (13 yrs +) Sunday Champagne Brunch Cruise. San Diego location. Includes taxes & gratuity. Valid thru March 31, 2020. Reservations are required, Call 800-44-CRUISE (27847).